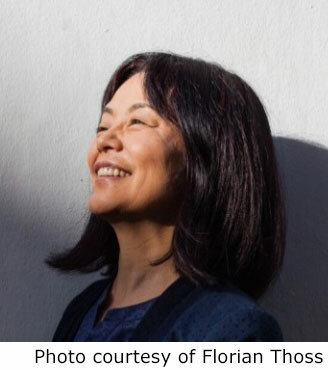 In March 2019, the Japan Foundation, Bangkok together with Goethe Institute and Gamme Magie Publishing will organize the talk event “Between language and culture” in order to exchange ideas on writing, translation and inspiration from internationally groundbreaking authors Yoko Tawada and Prabda Yoon. As a foreign author who bridges the gap between language and culture, Yoko Tawada and Prabda Yoon have introduced diversity to the world through literary. Born in Japan and moved to Germany, Yoko Tawada is a bilingual writer who writes in German and Japanese. Her style of writing shaped by challenges of cultural and language differences has made her works being more than just a story but a journey that takes the reader to approach transcendence. For Thai literary works, being translated to foreign languages is challenging in terms of language and culture. Crossing cultural differences and presenting more of universality, Prabda Yoon has transported the reader to explore many more sides of Thailand and opened an access for English readers to Thai contemporary literature. Yoko Tawada is a bilingual writer who writes German and Japanese. After received a bachelor degree in Russian literature from Waseda University, Tawada had continued her master’s degree on contemporary German literature at Hamburg University and completed her doctorate in German literature from the University of Zurich. As a bilingual writer, she has crossed language boundaries and transcended cultural differences. Her style of writing has introduced the depths of human absurdity, comicalness and fear, all of which have showed many sides of human and created the new experience of reading through the sprightly use of language. Tawada has become best-known for winning Akutagawa Prize from The Bridegroom Was a Dog and Kleist Prize which is regarded as one of the most prestigious literary award in Germany. Her several books have been published in many countries such as Memoirs of a Polar Bear, The Naked Eye, Where Europe Begins and The Emissary, award winning book from 2018 National Book Award in Translated Literature (USA), which will be released the Thai translated version in the book fair. 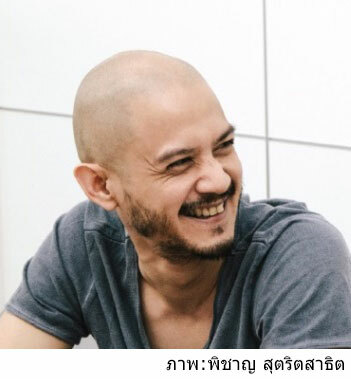 Prabda Yoon would be the name that Thai readers familiar with as a new generation of author and artist who has driven Thai literary and film to go beyond our boundary. After completed the junior high school in Thailand, he moved to the US and received a bachelor degree in Art fromThe Cooper Union for the Advancement of Art and Science. Apart from being an author, Prabda Yoon is also a translator and actively working as a filmmaker and graphic designer. He has become one of Thai influential authors after winning the S.E.A. Write Award in 2002 from his book called Kwam Na Ja Pen which was later translated to English with the name The Sad Part Was and received a good feedback from English readers. Many of his literary works such as Panda and short stories are also translated to Japanese. As a filmmaker, his films Motel Mist and Transmissions of Unwanted Pasts have been screened in International Film Festival Rotterdam and Kembara Southeast Asia Festival in Paris.